The rollout of Windows 10 April 2018 Update was recently blocked to some computers because of problems with certain SSDs. Now Microsoft has issued an update that addresses the issues. Releasing the KB4100403 patch, Microsoft says that problems with Intel SSD 600p Series or Intel SSD Pro 6000p Series, and Toshiba XG4 Series, Toshiba XG5 Series, or Toshiba BG3 Series drives, are fixed. 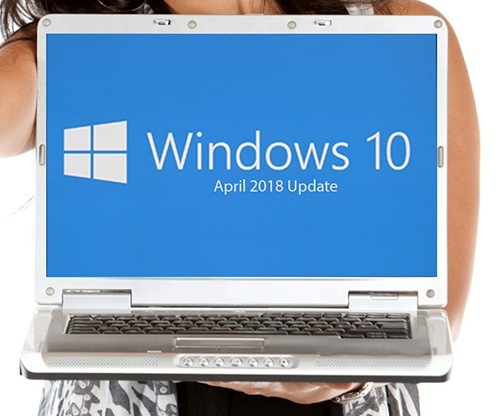 After installing it, users should be able to upgrade to Windows 10 April 2018 Update. To get Windows 10, version 1803, we encourage you to wait until the update is offered to your device. Starting May 25th, if you're an advanced user on an actively serviced version of Windows 10 and would like to install Windows 10 version 1803, you can manually check for updates. In the Search tab, type "Settings". On the Settings page, navigate to Update & security > Windows Update > click "Check for updates", which will include this resolution.